Carused.jp Blog Home » Car Maintenance » Our Prevention Advices » How to Detect a Mileage Rollback: Are You Buying a Car with Genuine Mileage? How to Detect a Mileage Rollback: Are You Buying a Car with Genuine Mileage? 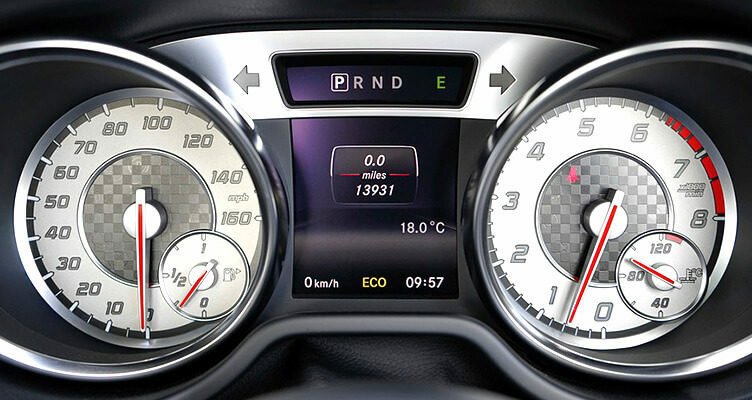 Back in the days, mostly analog odometers are prone to mileage rollback but now, it is also fairly common to find vehicles with digital odometers. You would think that no one can tamper these devices. However, when there’s a will, there’s always a way. Here at Carused.jp, we have built a reputation for being a company that upholds Japanese integrity and professionalism. As a member of the JUMVEA, it is our responsibility to ensure that our customers get the best value for their money. Don’t let the low mileage on our used vehicles hold you back. As we’ve mentioned in a previous article, it is common for Japanese used cars to have low mileage. After all, because of the unforgiving and highly expensive inspection and MOT requirements, many locals opt to sell their old cars at low prices. It is more practical for them to purchase a new car instead of keeping their old one. If you want to find JDM vehicles with even lower mileage, click the button below and use our online auction tool! It is true that when you purchase a vehicle from Carused.jp, you can ensure that you are not buying a clocked car. However, it still pays to know if a pre-owned vehicle underwent a mileage rollback. So, in this post, we are going to discuss how you can detect changed mileage on an odometer. You need to consider the year of the vehicle and its current mileage. At an average, a car accumulates around 12,000 miles annually. So, if the vehicle is more than a year old yet its odometer shows figures lower than 12,000 miles, it is likely that you are looking at a clocked car. Moreover, if the vehicle was used for business but the mileage is incredibly low, you should be suspicious of the odometer. Most of the time, the brake pedal is the component that sees the most amount of wear and force. So, if the odometer shows less than 60,000 miles yet the rubber pad of the brake pedal is almost worn through, this may be a case of mileage rollback. You should also check the vehicle mats and carpets. They are quite durable so it should take tens of thousands of miles before you see them deteriorating. If the mileage is low yet you see ‘heel spots’ on the carpet or floor mat on the driver’s side, then consider the possibility of a tampered odometer. You should always ask for the complete vehicle history report. After all, the receipts will show the mileage of the car on a particular service date. Check if there are unusual gaps or inconsistencies with the recorded mileages or dates. If the original title is available, ask for a photocopy of it. Now, you need to compare the current odometer reading with the recorded mileage on the title. Check if the font is consistent throughout the document to know if the paperwork has been tampered. It can be challenging to determine whether a car has changed mileage. If you’re suspicious of the odometer of the vehicle, our best advice is to have a professional mechanic look at it. If the seller refuses to allow the mechanic to inspect the vehicle, then it is a telltale indication that something is amiss about the transaction. Here at Carused.jp, all the cars featured on our online catalog and auctions have been checked by a third-party inspector. So, you can rest easy knowing that the vehicle history report we provide is credible and that we have not tampered the odometer. If you want to experience Japanese integrity when buying used JDM cars, contact Carused.jp today! How to Ensure a Smooth Drive under the Scorching Sun!